Crackdown on piracy fails to halt decline in music sales | What Hi-Fi? And despite a crackdown on illegal download sites such as Pirate Bay, the growth in digital downoad revenues – which many hoped would compensate for the slide in CD sales – halved to 6 per cent globally, at $4.6bn (£2.88bn). "As an industry we remain very challenged," says Frances Moore, chief executive of international music body the IFPI. "About 95 per cent of downloads are still unlicensed, 19 out of 20 are illegal... this has a knock-on effect on jobs, investment in artists and a dwindling pool of choice for consumers." 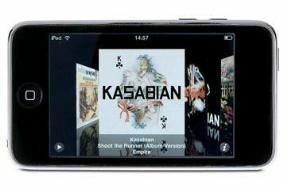 The IFPI report found that digital music accounted for 29 per cent of music companies' total revenues last year, up from 25 per cent in 2009. In the US, digital sales accounted for almost half of total music company revenues as CD sales suffered a "sharp decline". However, there was only "single digit" percentage growth in the more mature US digital music sector, a worrying sign that other developing markets might be next to experience dramatic slowdowns, says the IFPI. In Europe, the picture is rosier. The IFPI report said that European digital music sales grew almost 20 per cent year on year in 2010. And the BPI reported earlier this year that UK digital growth was up 30 per cent year on year, even though illegal downloading cost the UK music industry nearly £1bn in 2010. Moore says that 2010 was the year that digital music subscriptions took off, citing Spotify's 750,000-strong paying customers as an exciting example. It has 10 million users across Europe. Digital sales have grown by more than 1,000 per cent from 2004 to 2010, but overall global recorded music revenues have declined by 31 per cent over the same period as piracy remains a critical issue. Despite the success of streaming/download sites such as Spotify and iTunes, not all have enjoyed similar popularity. Last December BSkyB closed its Sky Songs music service as it was "unable to reach a large customer base". And Virgin Media is still struggling to get its own digital music service off the ground.